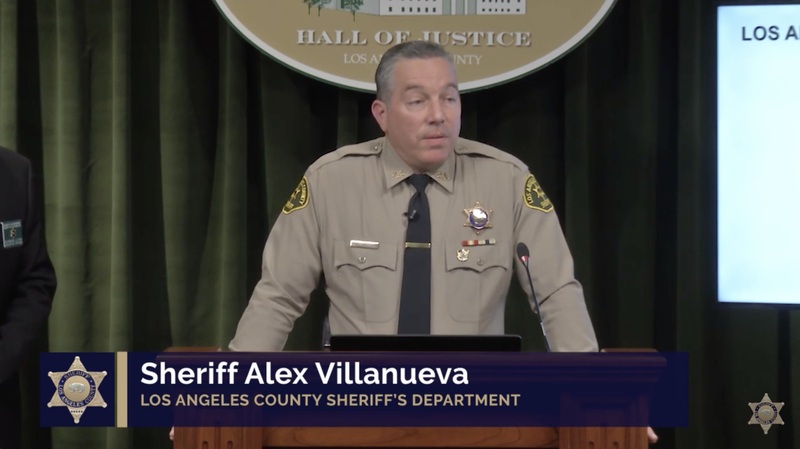 In a bid for greater transparency and as the first step toward regaining public trust in the agency he was elected to govern, Los Angeles County Sheriff Alex Villanueva held a press conference and opened up the books. The newly-elected Sheriff provided a comprehensive look at staffing, budget, and internal administrative and disciplinary processes, and addressed the status of United States Immigration and Customs Enforcement (ICE) agents within the Los Angeles County jail system. The information-forward event took place on Wednesday, January 30, 2019 at the Hall of Justice. It offered statistics and facts, with a candid look at the current state of the Los Angeles County Sheriff’s Department and how it got there. He outlined plans to reform areas of concern, rebuild the strength of the Department, and restore public trust. Sheriff Villanueva also addressed other topics including underfunded contracts, and the three dimensions of assault in the custody environment. He stressed the need for undocumented persons within the areas we serve to feel comfortable contacting law enforcement officers, and articulated a commitment to fully comply with California ‘Sanctuary State’ Senate Bill 54 (SB-54). “We are [also] acknowledging where we are currently, in order to move forward in a positive manner,” said Sheriff Villanueva. Will their be any type of insurance for academy trainees that were injured during the training in the academy will be able to come back and get treated correctly with their injuries? With health insurance from sheriff department?